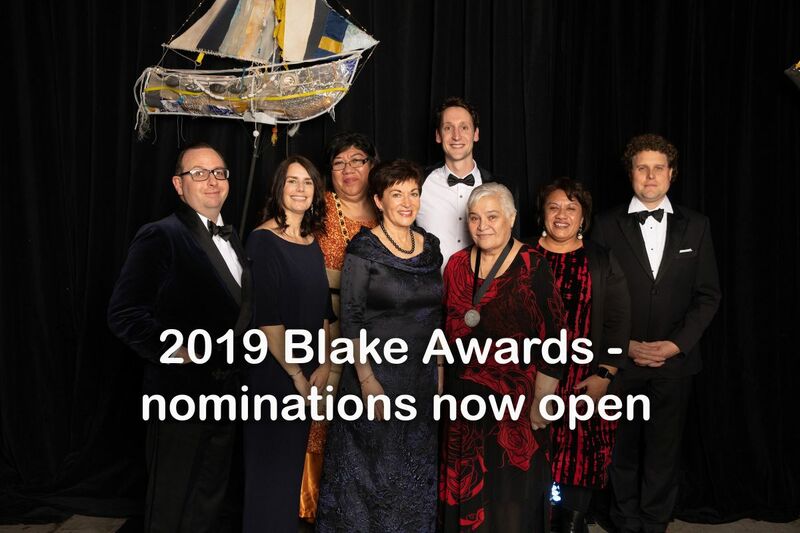 The annual BLAKE Awards recognise and celebrate people whose leadership has delivered high impact results and contributed to a more sustainable future for New Zealand. This year there are three award categories, plus the prestigious Blake Medal. See below for more information and get your nomination in before Sunday 5th May. Dr Miles Gregory, Rochelle Constantine, Soana Pamaka, Rt Hon Dame Patsy Reddy, David Cameron, Dame Tariana Turia (Blake Medallist), Sandra Alofivae & Peter Beck. BLAKE AWARD – ENVIRONMENT: This award recognises and celebrates people whose leadership has delivered high impact results with a significant emphasis on environmental sustainability. This can include fields such as science, education, communication, or general environmental leadership.